his mother’s sister, Mary the wife of Clopas, and Mary Magdalene. Here was Mary the mother of Jesus. She had cared for Him and followed Him. And now, whether she understood all that was taking place or not, she was there for her son. Rudyard Kipling expressed something of such love like this. “If I were hanged on the highest hill. Jesus looking down from the cross saw her there. As His heart went out to her in love He was reminded of the days that lay ahead for her. He did not commit her into the hands of His brothers for they did not yet believe in Him (John 7:5). But seeing the disciple whom He loved also standing there He placed her into the care of John, who immediately took her into his house. Right to the very end Jesus cared for others above Himself. 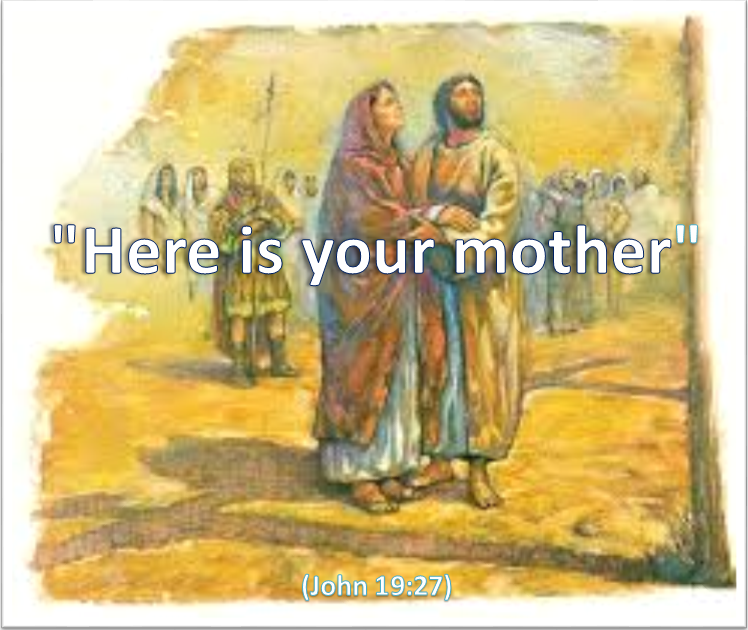 And He fulfilled also the commandment in honouring His mother, by giving her the very best that was available to Him. Categories: Christianity, Daily Life, God | Tags: Cross, Daily Bread, Jesus, John, Lent, Love, Priorities, Scripture | Permalink.